The innovative EveryWay Soother with Removable Rocker is a multi-use baby swing that offers 16 soothing motions for the most smiles. Eight ways to swing mean more soothing options to comfort baby: arch, swing, bounce, figure 8, circle, wave, zig-zag and sway. Two directions mean baby can swing side-to-side or front-to-back to keep baby smiling . The swing seat conveniently doubles as a removable baby rocker to keep baby happy by your side throughout the home. The six swing speeds allow Mom to adjust speed to baby's preference. 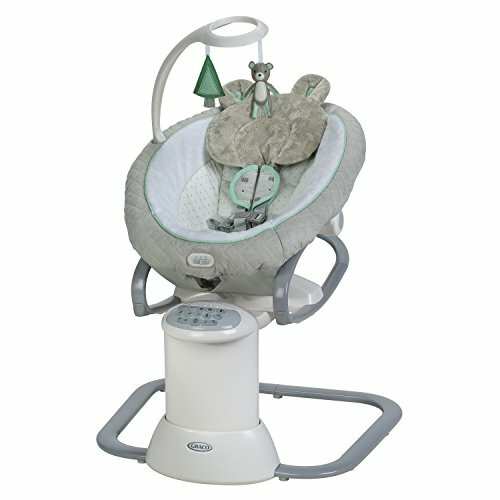 The swing also features two speed soothing vibration, three position recline, 15 songs and sounds, an adjustable mobile with soft toys, plush soft goods with removable infant head support and an AC Adapter for added convenience.